Diamond Ring Made in 14k White Gold See Specifications for more details. SHIPPING DETAILS Delivery Type: Doorstep&nbs..
Diamond Ring Made in 18k Yellow Gold See Specifications for more details. SHIPPING DETAILS Delivery Type: Doorstep Del..
Diamond Engagement white gold 18k See Specifications for more details. SHIPPING DETAILS Delivery Type: Doorstep ..
Engagement,Solitaire white gold 18 K See Specifications for more details. 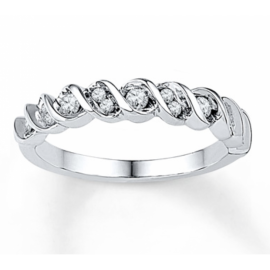 SHIPPING DETAILS Delivery Type: Doorstep Del..
Diamond Set,Engagement,Solitaire,Stone Set white gold Engagement Ring made in 18k Gold See Specifications for more details. ..
Blue Sapphire And Diamond Ring Set in 18K White Gold ( 0.55ct Bs) Engagement Ring made in 18k Gold See Specifications for mo..
Diamond Set,Engagement,Solitaire,Stone Set white gold Engagement Ring made in 18k Gold See Specifications for more details. SHIPP..
Diamond Set,Engagement,Solitaire,Stone Set white gold Engagement Ring made in 18k Gold See Specifications for more details. SHIPPING D..
Diamond Set,Engagement,Stone Set,Stone Set Shoulders white gold Engagement Ring made in 18k GoldSee Specifications for more details. SHIPPI..
Crossover,Diamond Set,Engagement,Solitaire,Stone Set white gold 18k See Specifications for more details. SHIPPING DETAILS &..
Engagement,Channel set,Diamond Set,Solitaire yellow gold 18k See Specifications for more details. SHIPPING DETAILS De..
Diamond Set,Solitaire,Stone Set white gold Engagement Ring made in 18k Gold See Specifications for more details. SHIPPING DETAILS..
Diamond Set,Solitaire,Stone Set white gold Engagement Ring made in 18k Gold See Specifications for more details. SHIPPING DETAILS ..
Diamond Set,Engagement,Solitaire,Stone Set yellow gold Engagement Ring made in 18k Gold See Specifications for more details.&nbs..
Diamond Set,Engagement,Solitaire,Stone Set yellow gold Engagement Ring made in 18k Gold See Specifications for more details. SHIPPING ..
Diamond Set,Solitaire,Stone Set,Engagement white gold Engagement Ring made in 18k Gold See Specifications for more details. SHIPP..
Diamond Set,Solitaire,Stone Set white gold Engagement Ring made in 18k Gold ( Setting only ,choose centre stone inside ) See Specifications for m..
Crossover,Diamond Set,Engagement,Solitaire,Stone Set,Stone Set Shoulders white gold 18kSee Specifications for more details. SHIPPING DETAIL..
Diamond Set,Engagement,Stone Set yellow gold Engagement Ring made in 18k Gold See Specifications for more details. SHIPPING DETAI.. Engagement Ring made in 18k White Gold See Specifications for more details. SHIPPING DETAILS Delivery Type: Doorstep&..
Diamond Set white gold Engagement Ring made in 18k Gold See Specifications for more details. SHIPPING DETAILS Deliver..
Diamond Set,Engagement,Stone Set yellow gold Engagement Ring made in 18k Gold See Specifications for more details. SHIPPING DETAILS&nb..
Diamond Set,Engagement,Solitaire,Stone Set white gold Engagement Ring made in 18k GoldSee Specifications for more details. SHIPPING DE..
Diamond Set,Engagement,Solitaire,Stone Set white gold Engagement Ring made in 18k Gold See Specifications for more details.. Cluster white gold 18k with Engagement Ring made in 18k Gold See Specifications for more details. SHIPPING DETAILS Del..